While in NV my SIL and I drove up to Reno to the Quilting, Stitches & Crafts Expo (QSCE) We actually got there a mere hour before closing time on the last day. It was actually perfect! We got in for free and honestly I didn't think it was very good. It's hard to compare when the only other quilt show I've been to has been the AQS quilt show in that used to be held at the Opryland resort in Nashville TN. Now that is a 5 star event! It was a rather small event and I was not at all impressed with the quilt show portion of it. Most of it was put in a wing off to the side of the main vendor mall and it seemed more like an after thought. The lighting wasn't very good in the quilt show hall and so none of my pictures turned out very well. There was a bit of eye candy in the vendor mall. 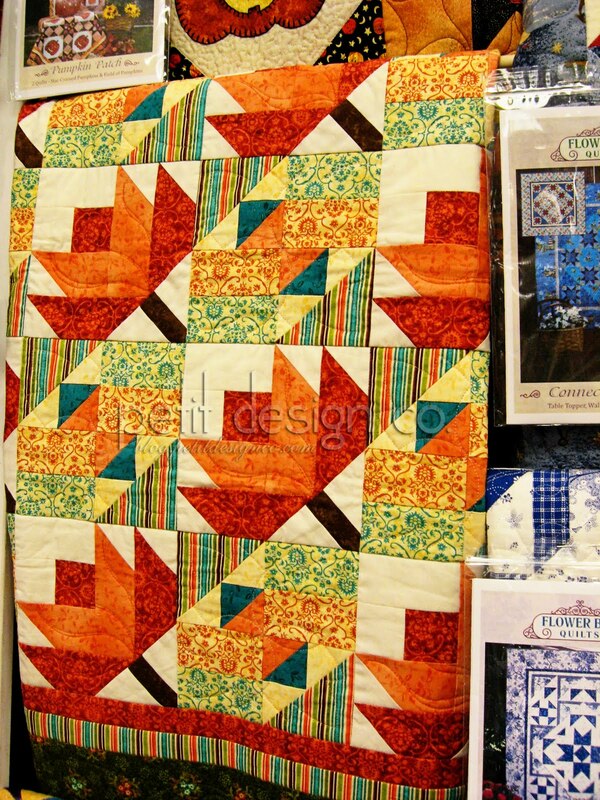 This quilt caught my eye because the construction is very similar to my Tulip block. My kids love all of the Olivia books. I'm a big fan of the art work in the books. I'm not sure what to make with this but I think I need to make up a pattern using a whole yard of fabric as the main focus. OK so I need your opinions. You see there was an "incident" involving one of the vendors. I've been to several of the AQS quilt shows and have never had a vendor get all uppity about me taking pictures of their booth. Now I have seen some booths that will have a sign posted that very graciously asks not to take any pictures, and I oblige. Now what about the booths that don't have a sign, do you think they are fair game for snapping pictures? Well this vendor saw my SIL and myself pull out the camera and came over and asked us (not too rudely but not very nicely) to not take pictures... this is my lively hood... yadda yadda, I don't know what people are going to do with those pictures... She made me feel like I was trying to steal form her! OK so I understand there are some people who try to pass off other people's designs/patterns as their own, but not us! So yeah, I was a little offended especially when I would have blogged about them and sent people their way etc etc. The thing that really gets to me though is that this vendor has an online website where you can purchase their quilt patterns, and guess what? Pictures of all their quilts!!! So if I really wanted to "steal" their work I could just go online and do it. So what are your thoughts? I agree with you. I love to see pictures of quilts, quilt show entries, and vendor booths. 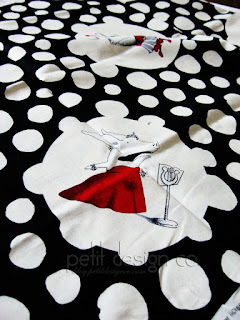 When I see a vendor booth featured on a blog I can see whether the vendor carries fabric/patterns I like. I like the modern fabrics, so if the vendor carries only reproductions, then I am not interested. I would think they would welcome the exposure to s people who were not at the show. To have their patterns on a website and not let you take pics of their booth makes no sense to me at all. If I want inspiration, I can spend HOURS on the blogs and Flickr.